“Globalisation has served as the world’s engine of progress over the past half-century,” says Frank Appel, Group CEO of Deutsche Post DHL. Dubai and Abu Dhabi, it may be added, are high-octane fuels powering that engine. For, both the emirates rank among the Top 10 Gloablisation Hotspots in DHL’s latest Global Connectedness Index (GCI). 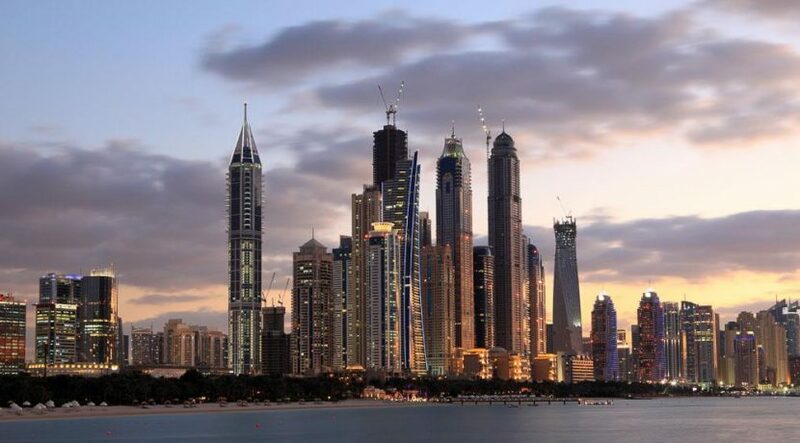 The UAE, therefore, features among the top 10 most connected countries in the world, racing ahead by four ranks between 2013 and 2015 to reach the 10th position on the list – the highest rank achieved by any GCC country. So what’s driving this growth? “We are seeing consistent and significant investments in the trade and logistics infrastructure in both Abu Dhabi and Dubai, proving that the UAE government is really driving its vision of cementing the country as a global hub,” explains Bassel El Dabbagh, CEO of Agility Abu Dhabi. As the DHL report notes, globalisation and urbanisation combine to prompt strong interest in global cities, and that the choices of policymakers will play an important role in the future of globalisation. And UAE policymakers are clearly pushing the envelope when it comes to globalisation. “In Abu Dhabi, Khalifa Port is expanding, as is Abu Dhabi Airport, and a truck road is being built between Dubai and Abu Dhabi,” El Dabbagh says. Hussein Hachem, CEO of Aramex, highlights the importance of investing in technology during challenging economic times. “Despite global economic uncertainty and the slowdown in the GCC region, our asset-light business model enabled us to respond quickly to volatility, outperform the market and deliver on our promise,” Hachem said last month while announcing strong financial growth for 2016. On the DHL index, the UAE is followed by Qatar (ranked 35th) and Saudi Arabia (#39th) in the fourth edition of the GCI, a detailed analysis of the state of globalisation around the world. Bahrain and Oman, also performed well on the index, surging 13 and 18 positions, respectively, while Kuwait fell three spots, placed 55th on the list. The report shows that global connectedness, measured by cross-border flows of trade, capital, information and people, surpassed its 2007 pre-crisis peak during 2014. In 2015, globalisation’s post-crisis expansion slowed, but data indicates that it did not go into reverse. The report also highlighted that the world was about eight per cent more connected in 2015 than in 2005. Europe remains the world’s most globally connected region, with eight of the 10 most connected countries, while the Netherlands was the top-ranked country overall. Singapore was named as the top globalisation hotspot in the world, followed by Manama and Hong Kong. Dubai ranked fourth on the list, while Abu Dhabi was perched at the ninth spot. “The GCI documents that globalisation has finally recovered from the financial crisis, but faces an uncertain future. It is imperative that policymakers and business leaders support an environment in which globalisation can continue to flourish and improve the lives of citizens around the world,” says Appel. North America was found to be the second most globally connected region, with the United States as the most connected country in the Americas. Overall the US is ranked 27th out of the 140 countries measured by the GCI. The report also noted that emerging economies trade as intensively as advanced economies, but advanced economies are four to nine times as deeply integrated into international capital, information, and people flows. The index maintains that if emerging economies become more similar to advanced economies in terms of their connectedness levels, this would provide a powerful boost to overall connectedness.